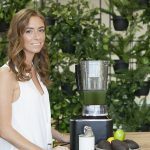 Home > Health & Fitness Blog > Personal Trainer Maria discusses nutrition. Personal Trainer Maria discusses nutrition. Hey guys! My name is Maria and I am a personal trainer in Myrtle Beach, SC, USA. 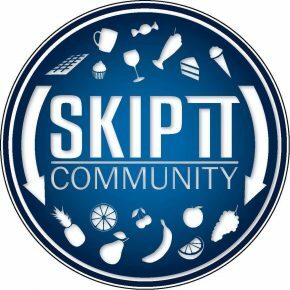 I am happy to write a post with my nutrition tips and recommendations for a Skip It Community! As you have probably heard before, people that follow a healthy diet and manage to stay in a good form, have about 5 meals a day; therefore, they eat every few hours. These 5 meals include Breakfast, Mid-morning snack, Lunch, Afternoon snack, and Dinner. Each one of them has the power to keep your metabolism working steadily, support your lasting energy and great mood, or do the absolute opposite! And it is your choice what it’s going to be! While personally I don’t like to count calories, I believe it’s useful to have an idea how much one should eat. Remember, for a weight loss, you need to have a calorie deficiency, which means, you should spend more calories than you consume. Along with that, there is no reason to go lower than 1200 kcal a day. No doubt, everyone has a different lifestyle, genetics, strengths, and weaknesses; thus, everyone requires a unique diet plan to reach the desired fitness goals. So you need to study how the changes in the food you eat affect your body and find out what works best for you. You can also get a professionally designed meal program that will save you some time and effort. Generally speaking, one serving of a quality protein combined with a serving of low starchy veggies and “good” fats, provides your body with 300 to 400 calories. A serving of grains adds about 200 calories more to this meal; and all the extras like drinks and condiments should be counted too. 1. Start with eating fewer carbs (especially the high glycemic type). For example, one serving of grains is 1/2 cup (cooked), while most of people eat 1 cup. You also need to watch out for the added sugars. While it is nearly impossible to completely diminish sugar consumption, the less you eat it the better. The general limits for its intake are 25 g a day (6 tsp) for women and 38 g a day (9 tsp) for men. You’ll be really surprised to learn how much simple carbs and sugar is hidden in many of the “healthy” foods like yogurts, granola bars, protein bars, cereals, and vitamin water. That’s why you should always read the nutritional labels of such products. Remember, refined carbs don’t have any nutritional value, just empty calories. 4. The reasonable portion of a quality protein source (such as fish, lean red meat, poultry, eggs or tofu) is 6 ounces (170g). 5. The kind of food that you are free to pile your plate with is low-starchy vegetables. Not only they are nutritious and filling, but also low in calories. 6. Learn how to eat slowly. This might be a tough one when your time is limited. But the thing is: it takes 20 minutes for your brain to recognize that you are getting full. This is the reason why you still feel hungry after you devour your meal. Eating food in a faster pace makes it more likely to end up overeating. So try to enjoy your meal and stretch it for at least 15 minutes by thoroughly chewing every bite. Hope this post will help you get healthier and happier! Stay positive! You’ve got this!